Kaopectate, also known as kaolin/pectin, is a drug that can treat mild diarrhea in dogs. Some newer formulas of the drug no longer contain kaolin or pectin and instead contain attapulgite as the active ingredient. However, the brand name has stayed the same, and people usually refer to the drug as Kaopectate. 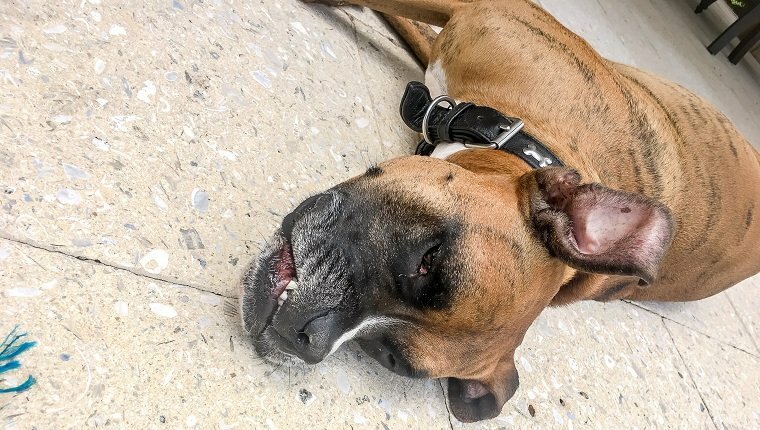 It is an anti-inflammatory, mild-antibiotic, antacid medication that humans often take for indigestion and diarrhea, though veterinarians sometimes prescribe it for dogs to treat similar symptoms, even though the FDA has not approved it for use in dogs. Kaopectate is available over the counter without a prescription, but you should always consult your veterinarian before providing any kind of drug to your dog, especially if they are taking any other kinds of medication. If your veterinarian recommends Kaopectate for your dog, follow their instructions closely. 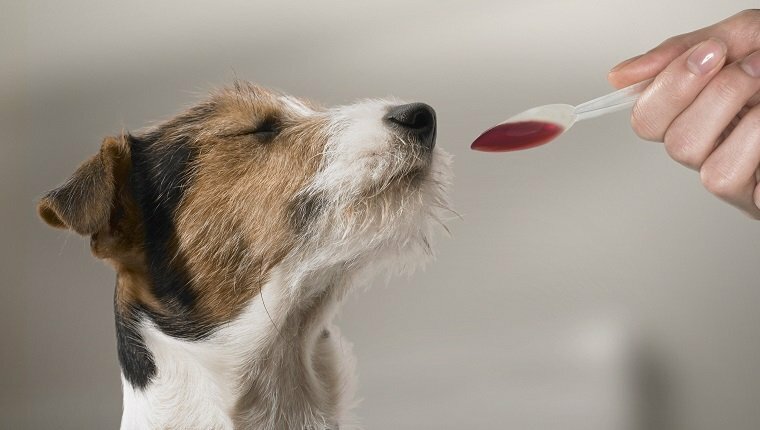 Here is what you should know about the uses, dosage, and side effects of Kaopectate for dogs. Kaopectate is used primarily to treat mild diarrhea and indigestion in dogs. Owners should not give it to dogs to treat severe diarrhea, and treatment should only last for about 48 hours or less. If a dog is still showing symptoms of diarrhea after that time, they will need further veterinary care. The usual dosage of Kaopectate for dogs is 0.5 to 1 ml per pound of body weight given 4 to 6 times a day. This can vary depending on which active ingredient is in the medication and how concentrated it is, which is why you should ask your veterinarian before administering Kaopectate to your dog. The drug comes in a liquid form that owners should administer orally. Dogs must have plenty of water to drink for the duration of their treatment. Treatment with Kaopectate should last no more than 48 hours. If symptoms have not cleared by that time, the drug will not be adequate to cure the dog’s condition. Side effects of Kaopectate in dogs are rare and usually mild. They may include fever, lethargy, abdominal pain, dark or tarry stools, increased thirst, fatigue, and dizziness. If a dog is exposed to high doses, they may experience constipation. 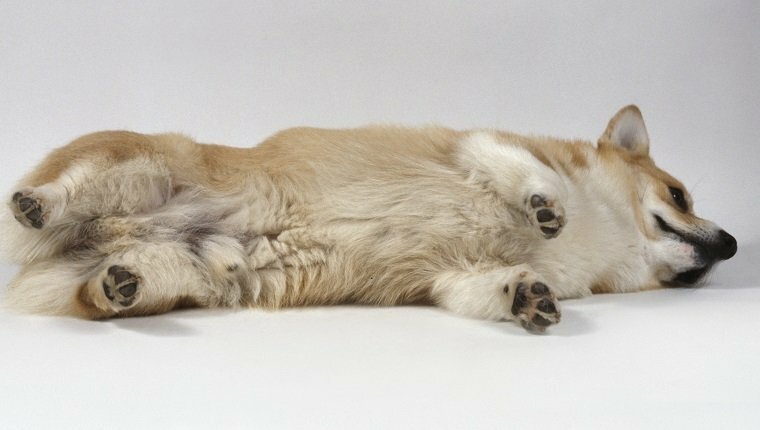 Even though side effects aren’t common, it is still important to consult your veterinarian before giving Kaopectate to your dog, as variations in formula and concentration can cause problems. 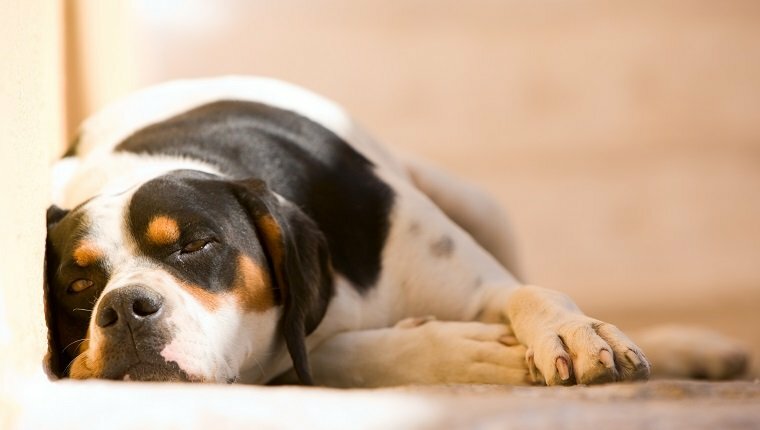 Dogs that are allergic to aspirin or are taking aspirin, NSAIDS, or steroids should not be given a form of the drug that contains bismuth salicylate as an ingredient. Kaopectate may inhibit absorption of digoxin or lincomycin. As with all drugs, there is a risk of allergic reaction that can lead to anaphylaxis, a potentially life-threatening condition. If you see the signs of an allergic reaction, including swelling, hives, trouble breathing, or other symptoms, consult your veterinarian immediately and stop giving your dog Kaopectate. Have you ever given your dog Kaopectate to treat diarrhea? Did it help reduce their symptoms? Let us know in the comments below!